In today’s age, when we all are so busy working and time is always a constraint, going to a salon for every small thing can be a hassle. This is where Gillette Venus comes to your rescue; It not only saves time and is convenient to use, but also can be easily carried around everywhere and is completely painless. You cannot shave frequently – This is completely false. You may shave your hair as and when required. Pressing harder gives a closer shave – NO. If you press too hard, it can lead to nicks and burns. Applying the right amount of pressure is very important. 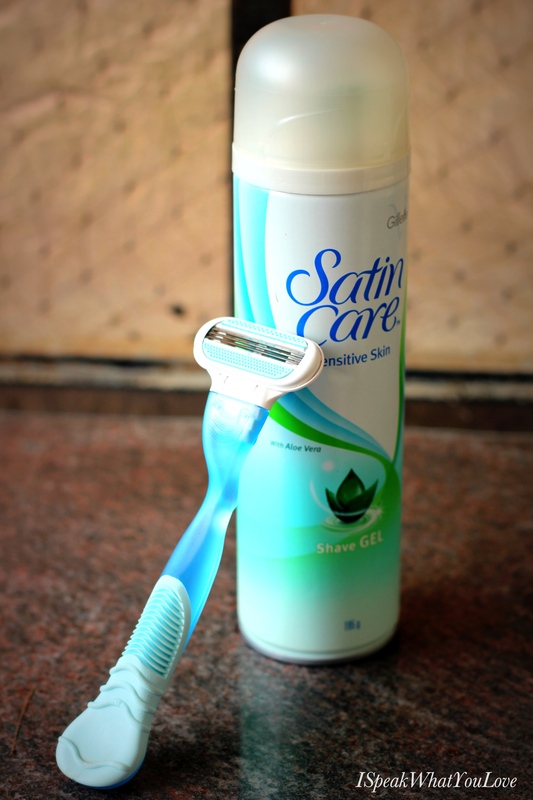 Razors cannot be used more than once – Not when its Gillette Venus razor. All you need to do is change the blades while using the same razor. This is undoubtedly, the most economical hair removal system. Shaving darkens your skin – Change in skin colour has nothing to do with shaving. The aloe vera strip on the Gillette Venus razor keeps your skin soft and healthy at all times. Earlier, I would use hair removal strips or creams to remove unwanted hair but that would take a lot of my time and require too much patience. But with Shaving, life has become easier; It has become my most preferred method of hair removal not just because its quick but also because its safe and skin-friendly. If you guys have any questions related to shaving, please feel free to ask. You can shoot me a mail at naina.ruhail@gmail.com.